Litter and marine debris are a serious environmental problem. Oregon's most common litter includes cigarette butts, plastic bottles and caps, food wrappers, and plastic bags. Often animals confuse these items and more with food, resulting in malnutrition, entanglement, or strangulation. Learn more about how cigarette butts harm the environment and what you can do to help! Even the smallest bits of trash can be harmful. For example, cigarette butts flow into storm drains, then directly to our rivers and streams. The chemicals they retain are released as they flow downstream to the ocean. Just as troubling, cigarette butts, tiny bits of plastic, and other trash are readily eaten by marine life. If we eat seafood, we may also ingest these contaminants. 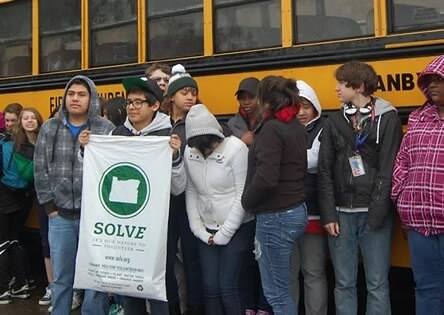 The time and energy you spend volunteering with SOLVE has a huge impact on Oregon's environment. In the last 10 years, SOLVE volunteers picked up over 7.5 MILLION pounds of trash across Oregon. Your hard work keeps our neighborhoods and natural areas clean. Pick up trash whenever you see it. Remember that the small pieces are often the most harmful, because birds don't eat tires! Without preaching, explain to others about the need to pick up litter. If necessary, remind folks that littering is a crime, with the strongest penalties for littering near waterways. Inform law enforcement agencies about violators immediately. 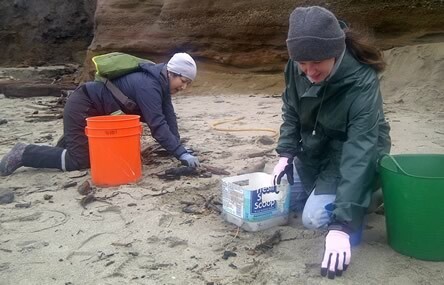 Oregon Sea Grant STEAMSS Curriculum - Marine debris curriculum available for grades 4 - 12. The Center for Ocean Sciences Education Excellence - Resources for educators with curriculum ideas related to marine debris. Hatfield Marine Science Center - Educational resources from Hatfield Marine Science Center, including curriuclum resources and marine debris kits. Algalita Marine Research Institute - An Oceanography institute that has done substantial research on the issue of marine debris. They floated the JunkRaft from Los Angeles to Hawaii to raise awareness of the problem. You can request their Debris Science Investigation Kit here. Talking Trash & Taking Action - A marine debris educational tool for educators put together by the Ocean Conservancy and the NOAA Marine Debris Program. Turning the Tide on Trash - A Learning Guide on Marine Debris put together by the U.S. Environmental Protection Agency. Keep America Beautiful - A valuable list of resources on litter. Stoplittering.com - Litter information and prevention tips. Litterpreventionprogram.com - Litter prevention and recycling. Litter. It Costs You. - Great resource for litter prevention and recycling information. Balloons Blow...Don't Let Them Go! 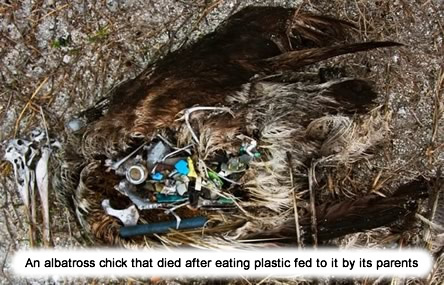 - Balloon debris is a huge problem for our wildlife. Find information here. A Kids Guide to Recycling - Youth focused information on recycling. Oregon E-Cycles - Find out how to safely recycle your electronic waste. Global Marine Litter Information Gateway - The Kid's Against Marine Litter Page has resources to get children thinking about the problems with litter. The National Oceanic and Atmospheric Administration's Marine Debris Program and Information Sheet on debris from the 2011 Japan Tsunami. The Ocean Conservancy - Partners with SOLVE for its International Coastal Cleanup in September. They publish many resources on issues confronting the world's oceans. Their 2015 Report has lots of information on marine debris. 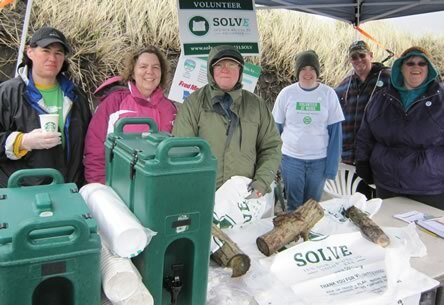 Oregon Marine Debris Team - A partnership between SOLVE, Surfrider, CoastWatch, Washed Ashore, and Oregon Sea Grant, activities include rapid response cleanups and tsunami debris response. Oregon Shores Conservation Coalition - An organization dedicated to preserving the Oregon Coast. Through the CoastWatch program, a group of dedicated volunteer stewards have adopted a stretch of coastline and conduct regular cleanups. Oregon Parks and Recreation Department - The Parks Department manages Oregon's many State Parks along the coast. Rise Above Plastics - Surfrider Foundation - This partner organization provides good ideas on how you can reduce the amount of plastics you consume. 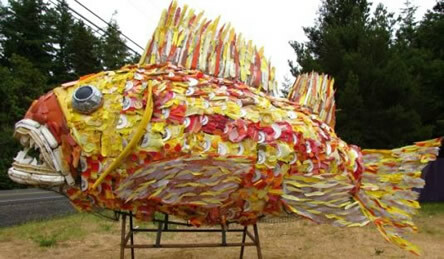 Washed Ashore - As an antidote to despair, volunteers pick up plastics from Oregon beaches and make educational art! Since the inception of the project, 1000s of pounds of plastic pollution have been processed into art supplies by Washed Ashore.